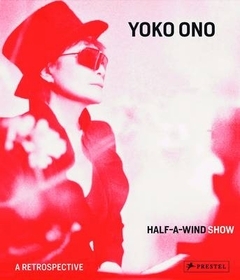 On the occasion of Yoko Ono's 80th birthday, this retrospective volume showcases the enormous diversity and reach of her work of the past 60 years. Yoko Ono is an established avant-garde artist whose work spans installations, object, film, photography, and music. Named after her renowned 1967 exhibition Half a Wind at London's Lisson Gallery, this volume features Ono's most important projects. It also includes photographs of Ono surrounded by her art, either as creator or participant, as well as her billboards, "instructions," letters, invitations to her performances, and exhibition posters. Paying special tribute to her work of the 1960s and 1970s, this publication reveals Ono's influence on the avant-garde art movement--from Fluxus to performance--and highlights her timeless efforts on behalf of world peace.